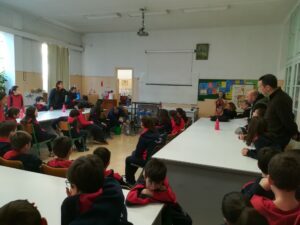 On February 22, 2019, an HCMR CLAIM team visited the Arsakeio Primary School of Psychiko, within the context of awareness raising campaign, focussing in early stages of education. 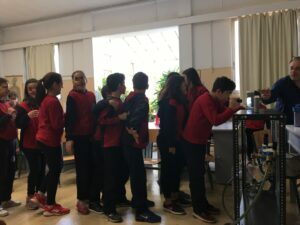 The concept was to offer the children an additional channel of knowledge and to motivate them, in order to act with responsibility as consumers, but also to trigger them for influencing their families. 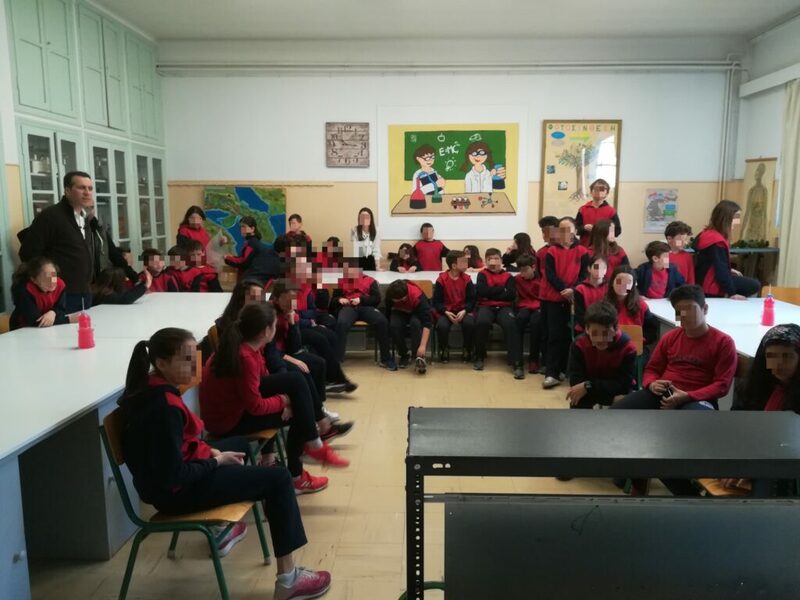 The audience was comprised by 10 years old children (2 departments of the 5th class), almost 50 pupils, their teachers Ms. F. Papanikolaou and Ch. Mantzakli, the primary School Director Ms El. Stavropoulou and the Natural History’s Museum Responsible Ms F. Tripolitsiotou. 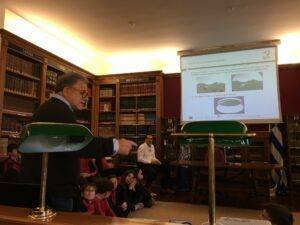 Dr. George Triantafyllou, presented the issue of marine pollution, focussing in marine litter and introduced the scope and vision of CLAIM project for reducing plastics, by the means of innovative technologies and cleaning methods, being developed within CLAIM. 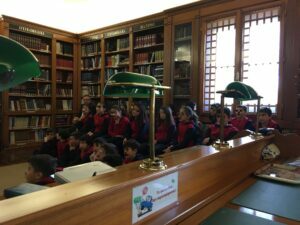 During the presentation, which took place in the central school library, a vivid discussion with all the pupils has been kept in a parallel level; in fact, the children, with their questions and remarks have been proven very concise and economically wise and rational. The event has been tailored made and inserted to a modular essay of the 2 class departments, dealing with marine pollution, its origin, the impacts on the general environment, animals, fishes and the humans. Our main contribution was the introduction of alternative efficient solutions to overcome the problem. In this context, a video and photos were also presented from the deployment of the first technological device (floating barrier) concerning the collection of plastic waste at the river mouth of Kifissos, developed by NNL, a Greek SMΕ and partner in CLAIM. Within the aforementioned context, children were given the opportunity to watch the water pumping and cleaning process through a demonstration of CLAIM’s pre-filtration system, which has been developed by HCMR -and is under optimisation loop process- to retain larger plastics and ensure the smooth functioning of the photocatalytic coatings, developed by the CLAIM partner institute KTH, in Sweden. 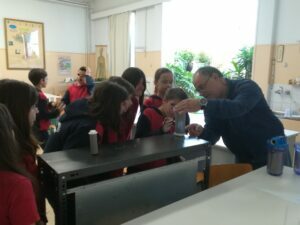 The demo system has been assembled and set up by Mr. Christos Karametsis (HCMR), in the School’s Natural Sciences Laboratory. 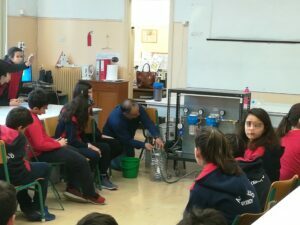 The pupils had the chance to watch the pre-filtration system in operation mode and observe the procedure of plastic pieces collection. It is important to state that CLAIM team offered scientific support to the teachers, one month before the visit, in order to prepare a simplified questionnaire for the pupils, for getting them acquainted with such documents and for providing them a platform for preparing themselves -by the aid of their teachers- and get acclimatised to relevant terminology and definitions. 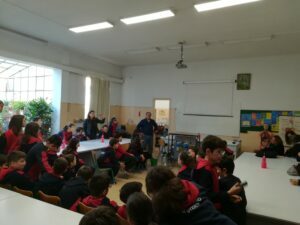 By the end of the dissemination event, children were prompted to express their considerations, new/ innovative ideas, revolutionary views on new strategies and incentives for the prevention and on-site management of visible and non-visible marine litter. Finally, they were asked to provide suggestions for policy-makers and local authorities, on how to treat more efficiently the issue of plastic waste dumping. The teachers will make a compilation of their work and provide a feedback to HCMR CLAIM team and it is anticipated that CLAIM team will participate in the pupils’ final presentation of their essay, by the end of the school period. 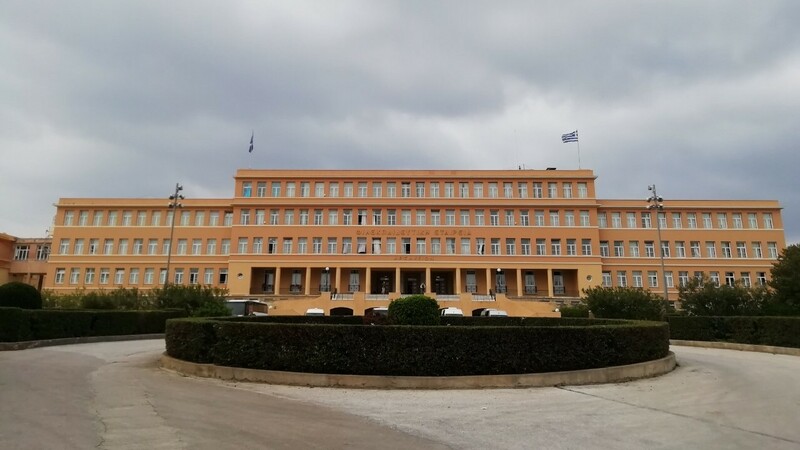 The 1st Arsakeio Primary School of Psychiko, is one of the twelve primary Arsakeia-Tositseia Schools operating under the umbrella of the “Society for the Promotion of Education and Learning”, founded in 1836, which organizes, monitors and evaluates the educational work done at the Schools (Athens, Patras, Thessaloniki, Ioannina, Tirana). All Schools (four kindergartens, twelve primary schools, seven high schools and eight lyceums) are governed by the same operating principles, provide homogeneous education and support the broader intellectual and cultural orientation, serving the long-standing national vision of its founders.